Thai Lion Air is a subsidiary of the Indonesia based company Lion Airlines, along with Wings Air, Malindo Air and airBaltic. 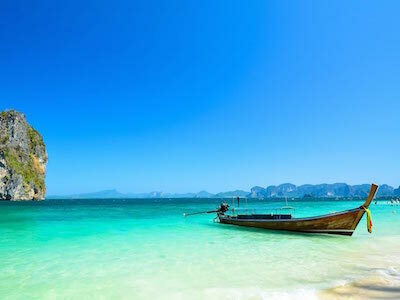 It is a low-cost carrier that serves both domestic Thai destinations as well as international destinations in neighbouring Asian countries. It has its headquarters located in the Don Mueang district of Bangkok, with primary operation centres working out of Don Mueang International Airport in the same city. The airline was founded in 2013 and had its maiden flight on December 10 of that year. During this flight it flew from Don Mueang International Airport and landed at Chiang Mai International Airport. Thai Lion Air serves 12 destinations with its fleet of 20 Boeing 737 aircraft. Its fleet is decorated with livery matching that of the other Lion Group airlines, except for Batik Air. 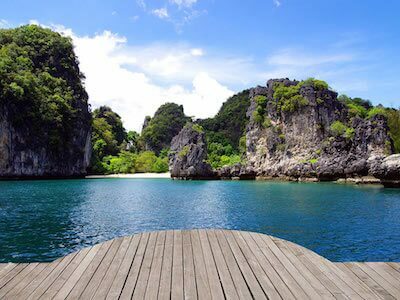 Some popular holiday hotspots covered by the airline's services include Soekarno Hatta International Airport in Jakarta, Krabi Airport, Phuket International Airport and Singapore Changi Airport. Starting from 24 hours before it is scheduled to depart, passengers can check in online for their Thai Lion Air flight. After that, they can do so any time up until 4 hours before their flight is due to take-off. While checking in online, passengers have the opportunity to choose where they will sit on their flight. Passengers who have checked in online but have baggage to check in can drop it off at the airline's airport counters. The same airport counters can also be used to check in, and remain open until 45 minutes prior to international flights or 30 minutes prior to domestic services. Passengers on Thai Lion Air flights can each bring 1 bag and 1 personal item into the aircraft's cabin with them. The maximum size for hand luggage is 40 x 30 x 20 cm. Examples of personal items accepted by the airline as hand luggage include binoculars, handbags, coats, cameras, umbrellas, reading material, baby food and canes. All items of hand luggage must fit in the overhead lockers or beneath the aircraft's seats. In the event of space constraints, some passengers may be asked to check their hand luggage into the hold, however they will not be charged for this as long as their hand luggage abides by the above regulations. Economy passengers on a Thai Lion Air flight have a different checked baggage allowance depending on whether they are taking a domestic flight or an international one. On domestic flights, passengers can check in up to 15 kg, while on international flights they're able to check in up to 30 kg. Infants do not receive a checked luggage allowance on any routes. Passengers can also pay to add extra checked luggage allowance to their booking. This can be purchased in increments of 5 kg up to a maximum of 30 kg extra on domestic flights or 15 kg extra on international flights. ThaiLion is much more comfortable than AirAsia.